Summary: This page talks about M4V format, and how to open/play M4V file on Windows 10/8.1/8/7 with UFUSoft Blu-ray Video Player Software. M4V is a video format and file extension extremely resembling traditional and common MP4 (MPEG-4 Part 14). M4V video file format is developed by Apple Inc., who uses it to flag as a video file and attach it to iTunes, by encoding TV episodes, movies, and music videos in the iTunes Store under official DRM copy protection. So if you want to play a protected M4V file, your computer needs to be authorized (using iTunes) with the account that was used to purchase the video. And you can only play protected M4V files on authorized computers and Apple devices, such as Apple iTunes, QuickTime Player, VLC media player etc. Generally speaking, iTunes videos are in M4V format especially DRM-protected M4V format which can be played on Apple devices. So you cannot make the best of M4V videos, due to the DRM protection. And if you want to make use of the downloaded M4V videos, you enjoy them with the UFUSoft Blu-ray Player Software. UFUSoft Windows Blu-ray Player was designed for helping you to play Blu-ray movies and it is a universal media player. 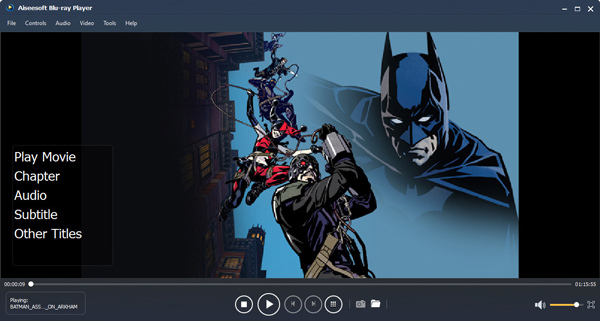 It can not only play Blu-ray disc or its ISO files on Windows 10, Windows 8.1/8/7/Vista/XP, but also supports you to play other popular video files, such as M4V, MP4, MXF, MTS, MKV, AVI, FLV, MPEG, etc. Moreover, it is Multilanguage supported and easy handled with user-friendly interface, the interface languages it supports includes English, French, German and Japanese. 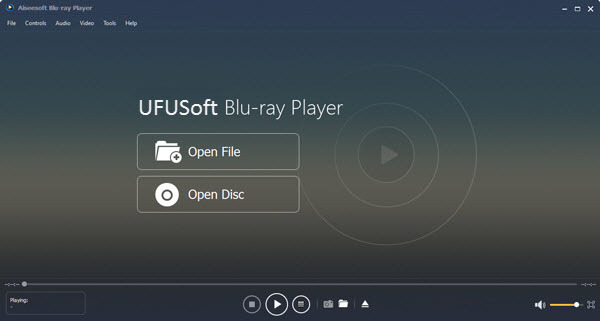 In addition, UFUSoft Blu-ray Player Software is powerful and distinguished application which can directly play Blu-ray, M4V and other files without any quality loss. Therefore, with this blessing tool, you are available to enjoy your favorite Blu-ray movies devices and you can freely utilize Blu-ray Player as free M4V Player. The following guide aims to tell you how to play M4V files with UFUSoft Blu-ray M4V Video Player. Download UFUSoft Blu-ray Media Player and then run it, then you will see the following screenshot. We provide you an intuitive interface which is very easy to operate. Plus, with the “Snapshot” function, you can capture your favorite M4V Video images and save in the format of JPEG, PNG, and BMP.